“A genuine virtuoso [Paco Peña] capable of dazzling on audience with technical abilities beyond the frets of mortal man,” says the New York Times. 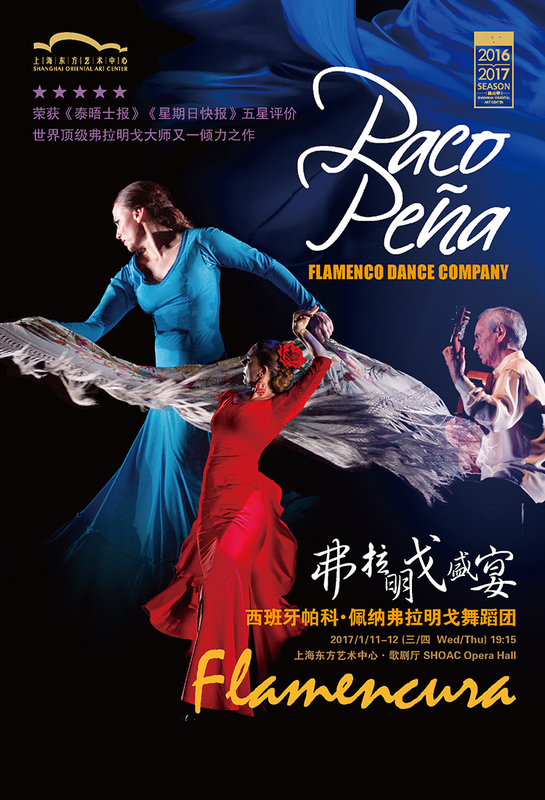 Shanghai gets treated to a world class flamenco performance from one of the world’s most acclaimed artists. The Paco Pena Flamenco Dance Company presents their show Flamencura for 2 nights only at the SHOAC. Since 1970 Paco Peña has performed regularly with his own hand-picked company of dancers, guitarists, and singers in a succession of ground breaking shows. Expect a moving performance in Shanghai for his debut. “A genuine virtuoso [Paco Peña] capable of dazzling on audience with technical abilities beyond the frets of mortal man,” says the New York Times . Shanghai gets treated to a world class flamenco performance from one of the world’s most acclaimed artists. The Paco Pena Flamenco Dance Company presents their show Flamencura for 2 nights only at the SHOAC. Since 1970 Paco Peña has performed regularly with his own hand-picked company of dancers, guitarists, and singers in a succession of ground breaking shows. Expect a moving performance in Shanghai for his debut.